The Sunday Carvery at Potters Resort is a stylish and contemporary restaurant overlooking the Norfolk coast offering classic dining with contemporary style. It's sure to be a hearty treat that your whole family will love. Take your pick at our carvery from succulent roast beef, crown of turkey, honey glazed gammon or have a bit of everything alongside your own giant Yorkie. Plus, choose your favourite roast dinner trimmings and top it all with rich gravy. 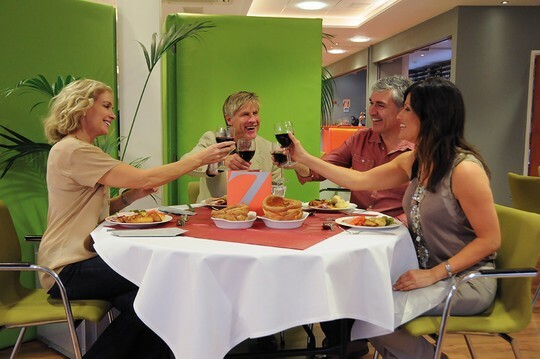 Prices start from just £9.95 for a one-course carvery. Our friendly staff are ready to welcome you to the best carvery on the East Coast.